Made by one person (kinda) in 72 hours (sorta) for Ludum Dare 41! Have you always thought "Gee, I wish this modern FPS had fewer guns, less shooting and no multiplayer experience"? Well, this is the game for you. 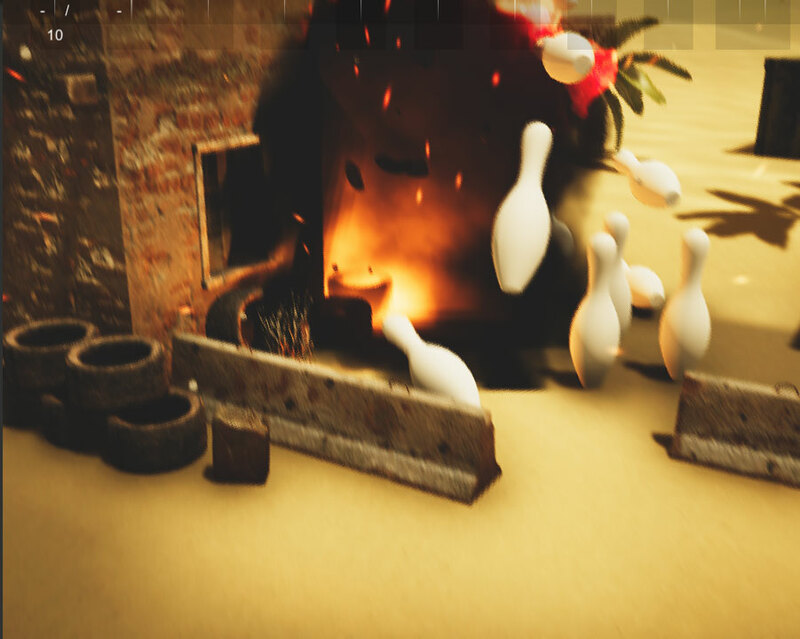 It's all the best parts of an FPS grenade throwing simulator rolled into the game of bowling that you already know and love. Left mouse button to throw. Well that’s only partially true. In the LD Compo the game must be made by one person with no outside assets (and done in 48hrs) The LD Jam however is 72hrs and can be made by a team and can include stuff made outside of the jam. I competed in the Jam and opted-out of voting for graphics (since I’m not trying to hide the fact the models were made by someone else). Anyway, nothing nefarious going on here, you maybe just aren’t super familiar with Ludum Dare. Hope that cleared it up! ooh, ok! Still, a great game! I may have been really bad at this game, but played through it multiple times! 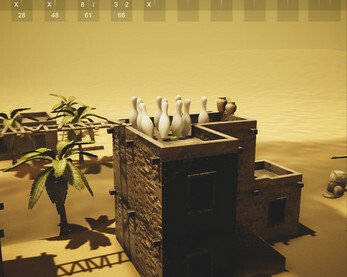 who even needs battle royale when you have bowling? Truly a game that kicks of with a bang! Call of Duty: Modern Bowlfare Simplifies the classic fps experience into a grenade chucking simulator! From annihilating pins to landing tricky shots this game is truly a great experience. And never has it been more satisfying to get a strike! All in all I give this game a 10/10 for its replay value and explosive fun. This was really fun. 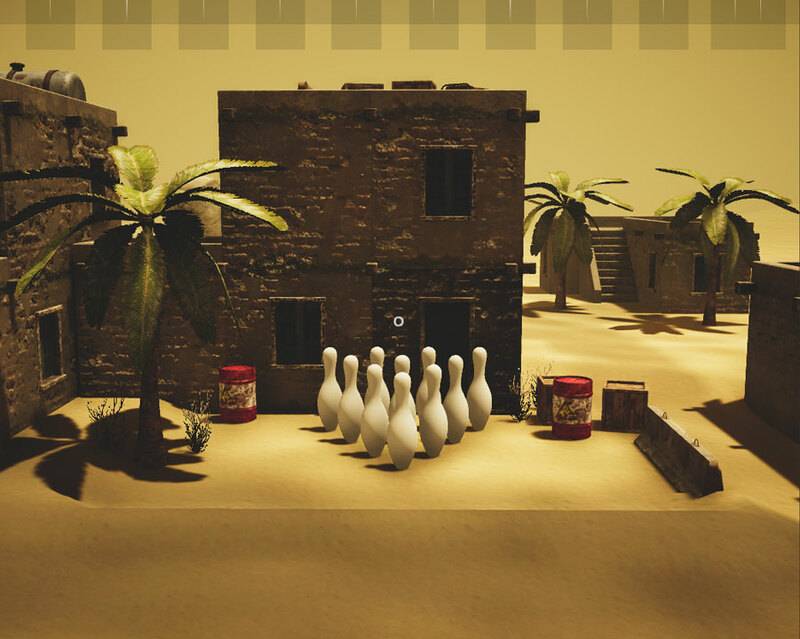 Who would of thought grenades made great bowling balls? This game is insane. A great mix. Just ad more maps and it is perfect! We ejoyed it very much. Awesome! Great vid guys, thanks for playing! Thanks for playing! Yeah, it's not perfect but in my defense it was made in a weekend haha. Definitely better than Call of Duty. And bowling. And Twilight of course. Interesting and innovative idea, I had a lot of fun playing! War, war never changes. Except when playing bowling. War changes its shoes. Haha, that's a great intro. Thanks for playing!